Provides light while leaving your hands free. An essential accessory for adventurering! Lantern Stick is costume back slot armor. 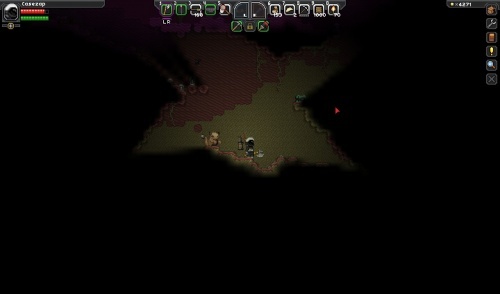 It can be crafted, and when equipped dimly lights a small area around the player. The crafting schematic is available at a Foraging Table, with the upgraded versions craftable at an Agricultural Station. The Lantern Stick does not provide light when equipped in the Cosmetic slot. This page was last modified on 1 August 2016, at 19:22.